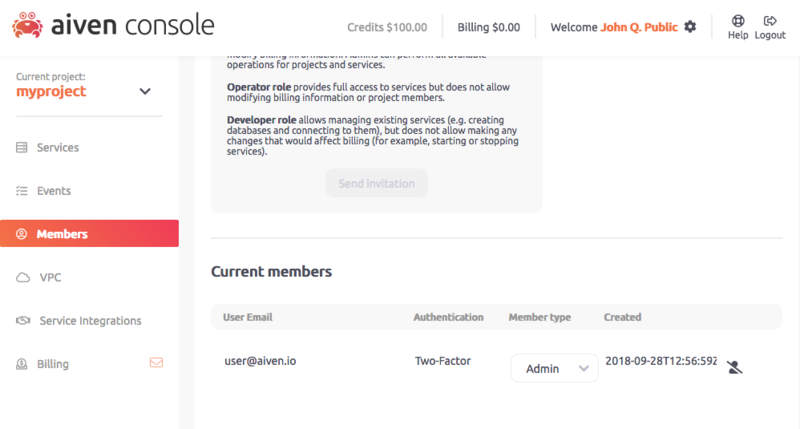 Two-Factor Authentication (also known as 2-Step Verification or 2FA) in Aiven allows further securing logins by requiring a second authentication code in addition to the user password. 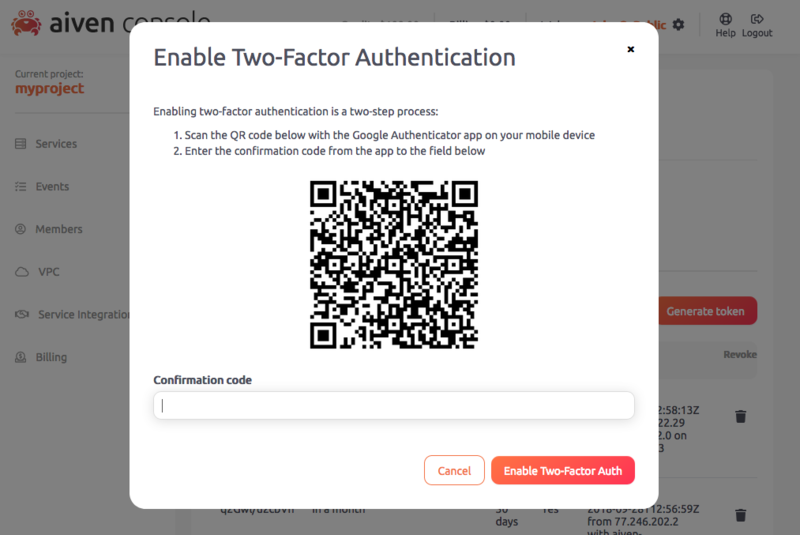 Currently Aiven supports Two-Factor Authentication using the Google Authenticator mobile application. Open the Google Authenticator application on your mobile device and add a new entry by selecting the Scan a barcode option. Point the camera to the QR code visible on the Aiven web dashboard. It should be recognized automatically by Google Authenticator and a new "Aiven" entry is added to its list of applications. If you have lost access to your two-factor authenticator (for example, your phone is lost or damaged), you will not be able to sign in. 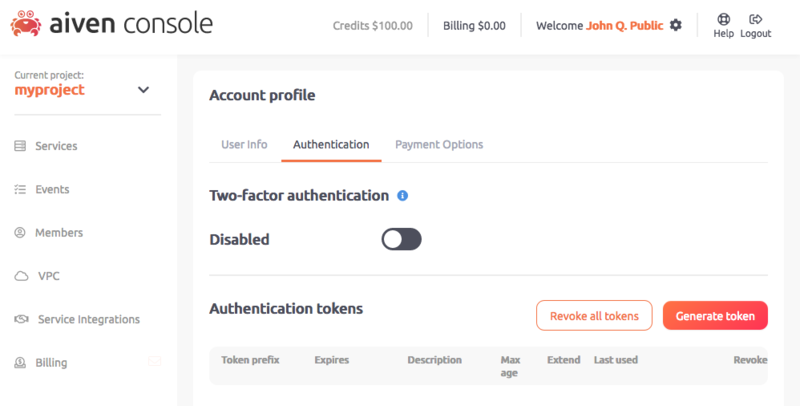 You can regain access to your account by requesting password reset from login screen, and completing password reset steps. That will also disable two-factor authentication from your account.